GoPro Hero 2018 One Month Later! Worth Buying This BUDGET CAMERA?! 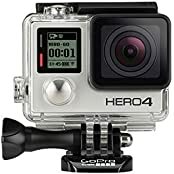 GOPRO HERO 2018 RECENSIONE – DELUSIONE TOTALE?! Chris Norton was paralyzed from the neck down during a college football game in 2010. The groom just took precious steps down the aisle after he was given only a 3 percent chance of ever walking again. Chris’ life took a beautiful turn when he met Emily. Last weekend, after tying the knot, he walked his bride up the aisle. They were the hardest but most miraculous steps of his life. For more of the inspiring video, go to PeopleTV.